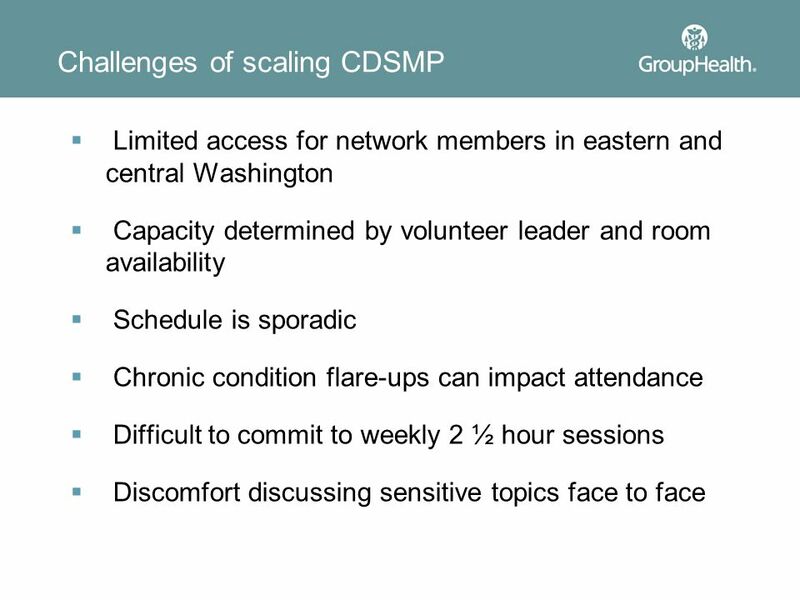 3 Chronic Conditions in U.S.
13 Evaluation questions Will the online program expand CDSMP’s reach to Group Health members who are not reached by the in-person workshops? 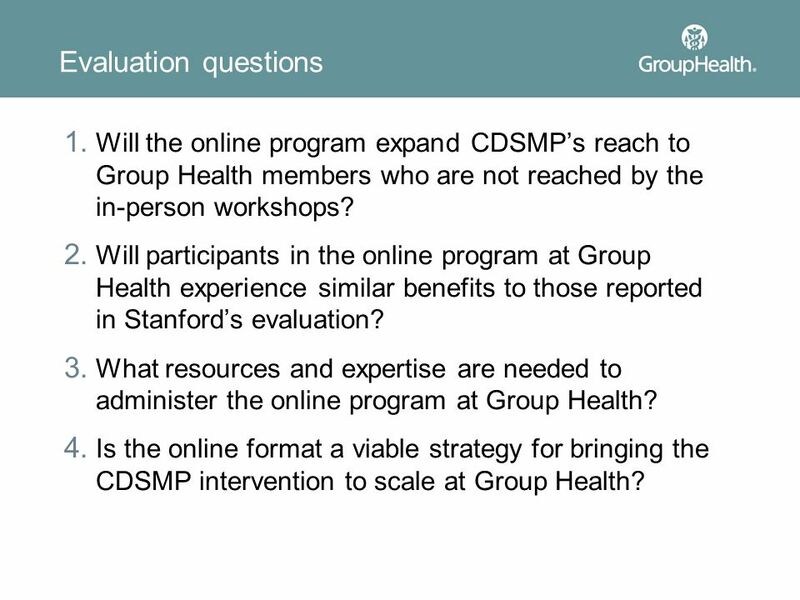 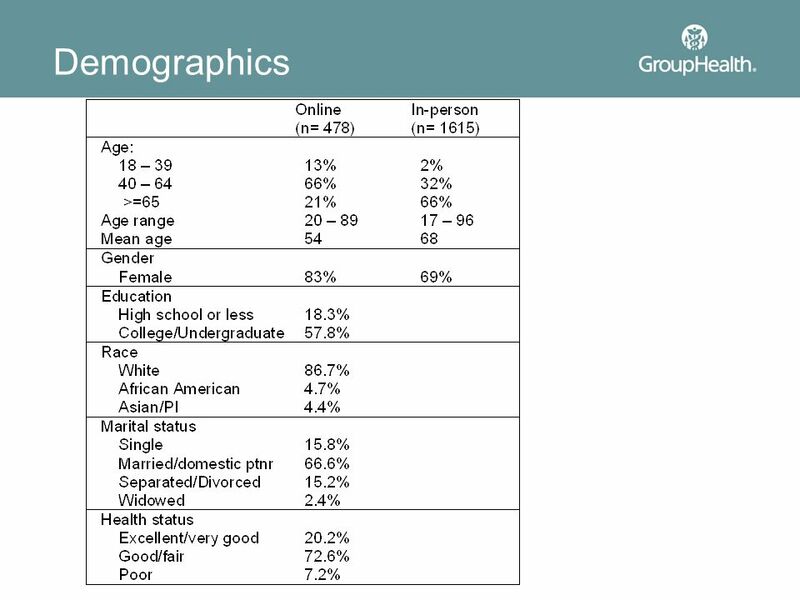 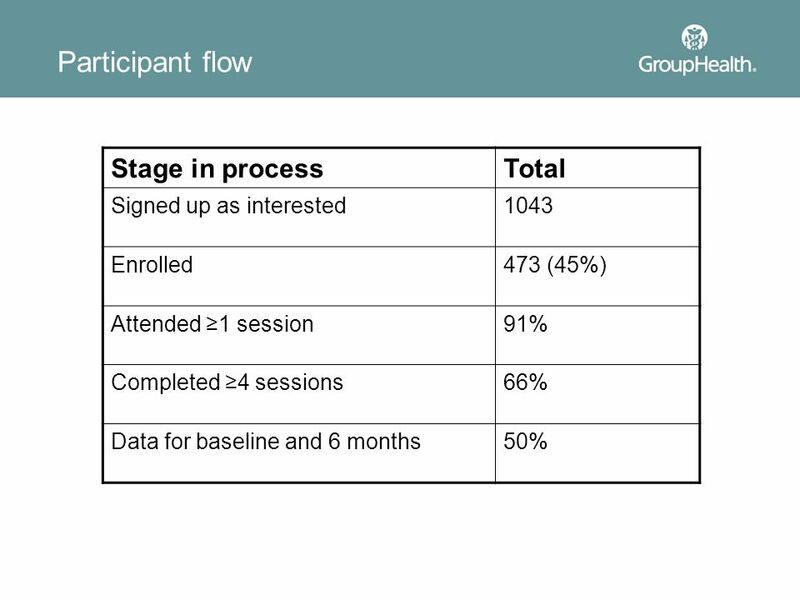 Will participants in the online program at Group Health experience similar benefits to those reported in Stanford’s evaluation? 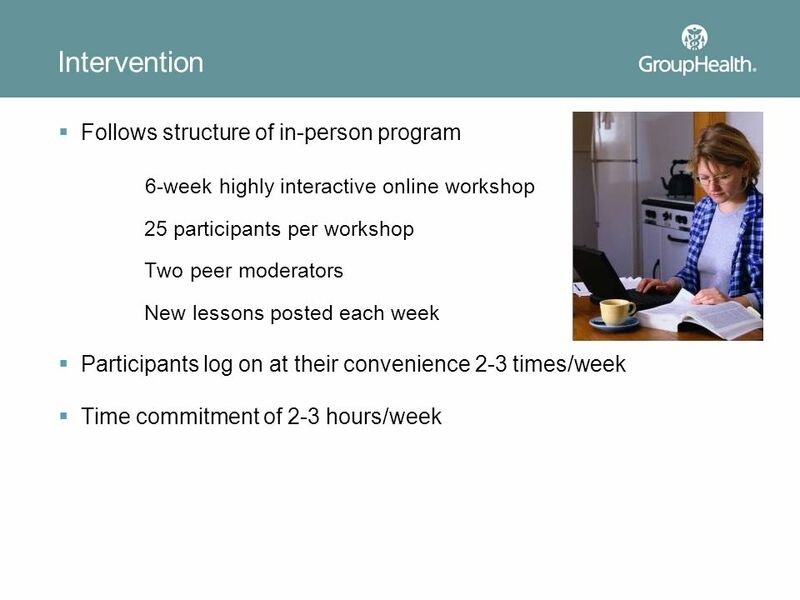 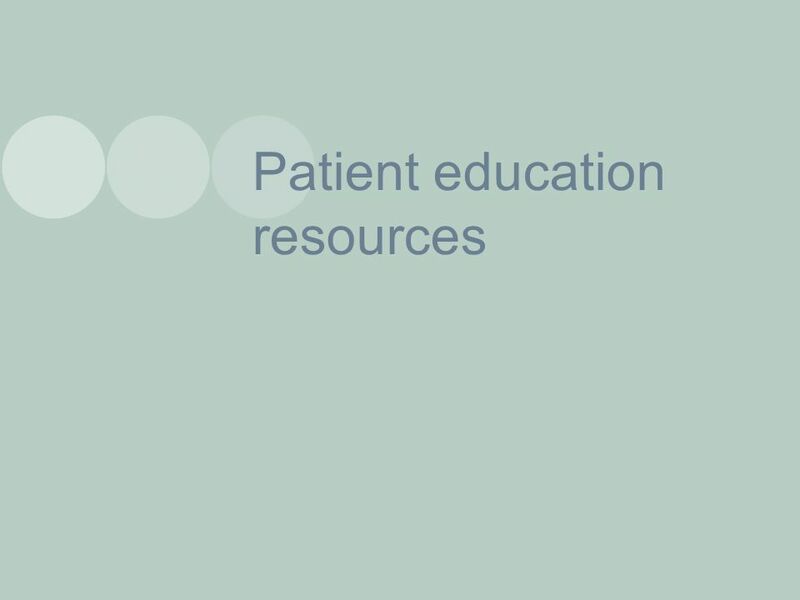 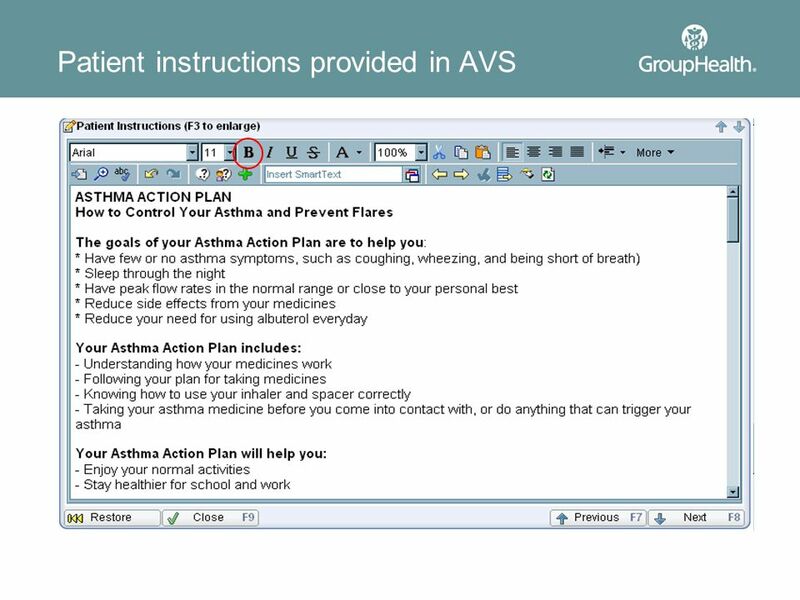 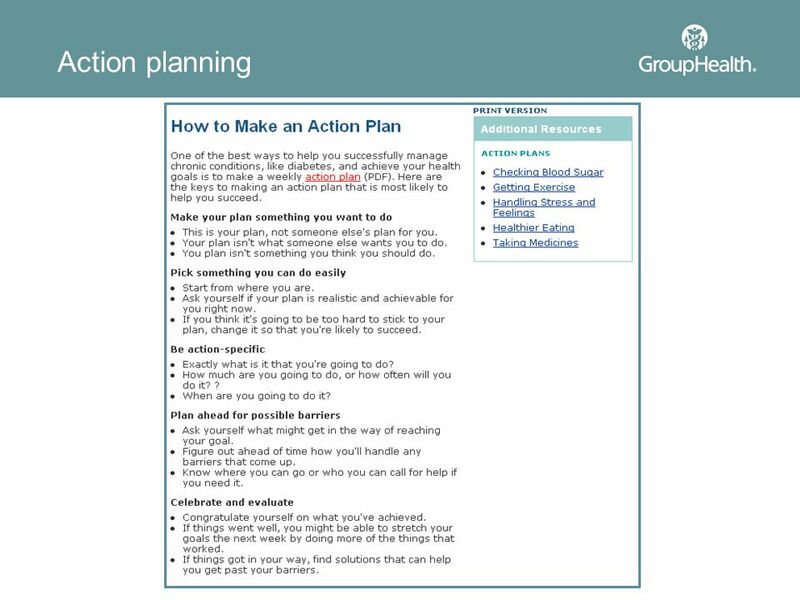 What resources and expertise are needed to administer the online program at Group Health? 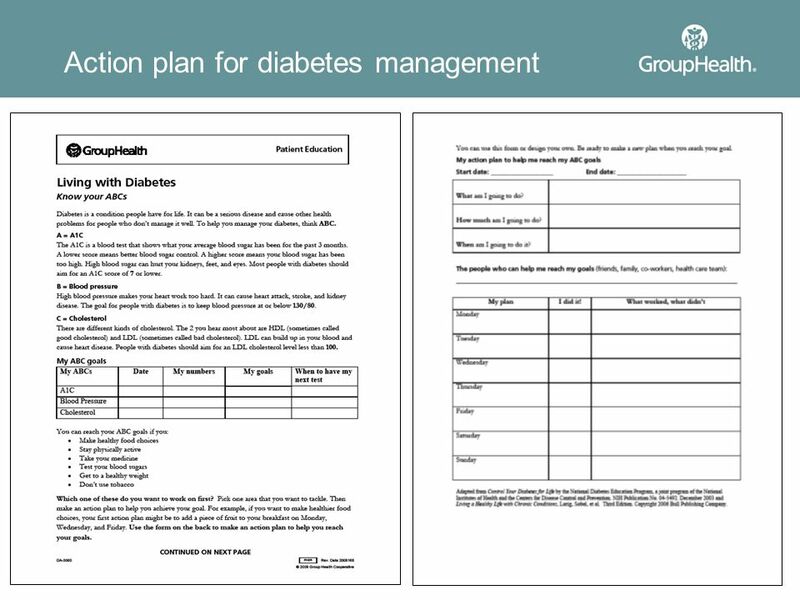 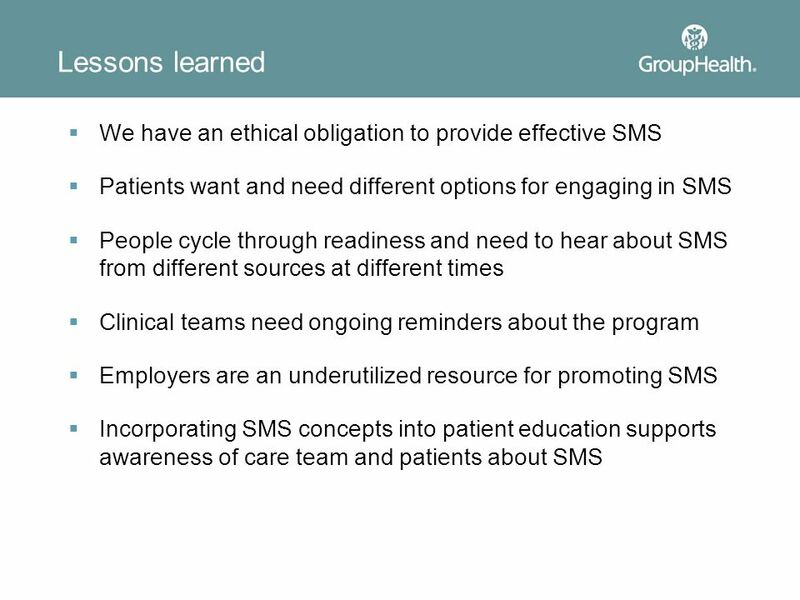 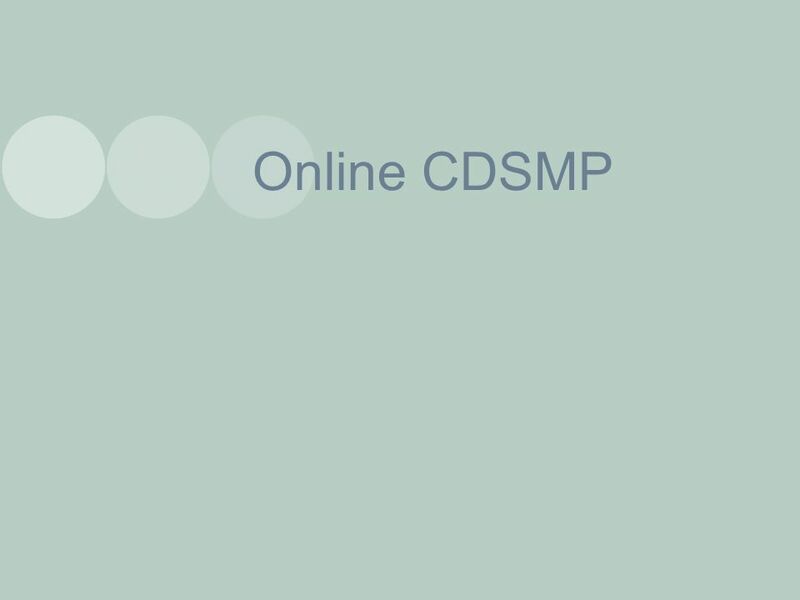 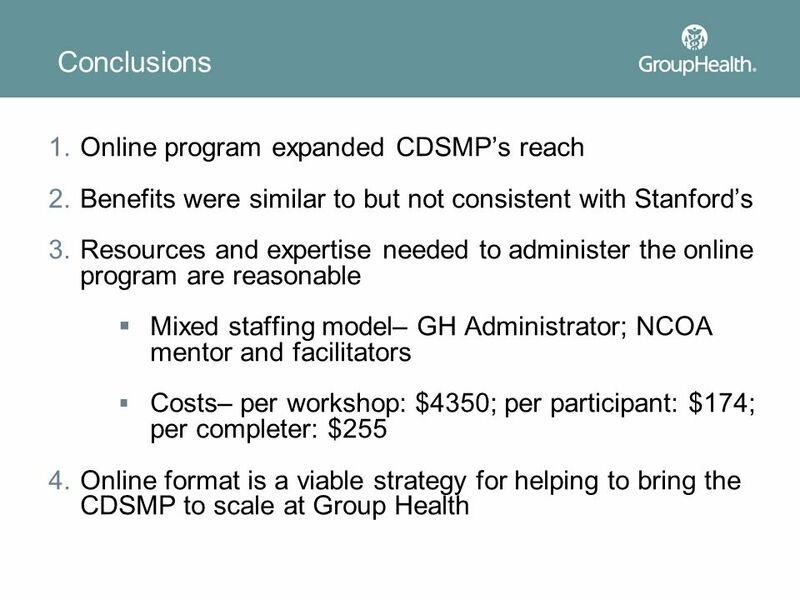 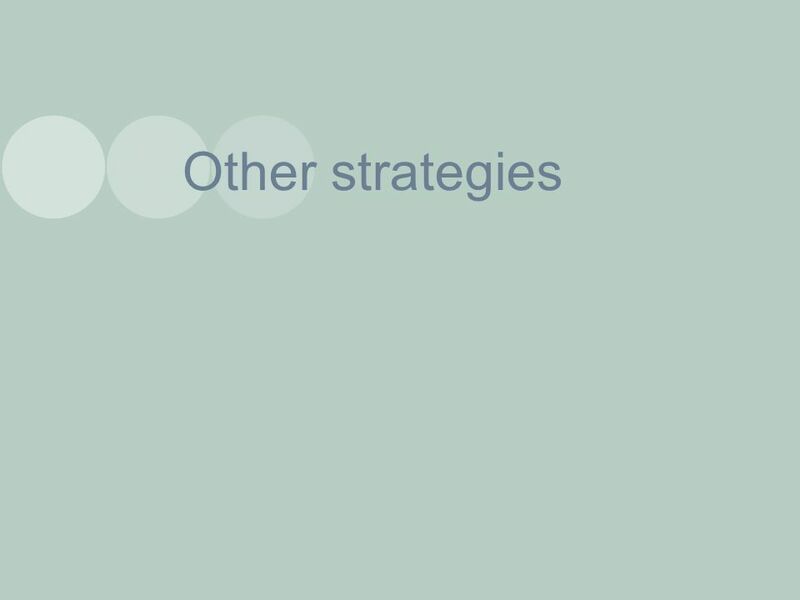 Is the online format a viable strategy for bringing the CDSMP intervention to scale at Group Health? 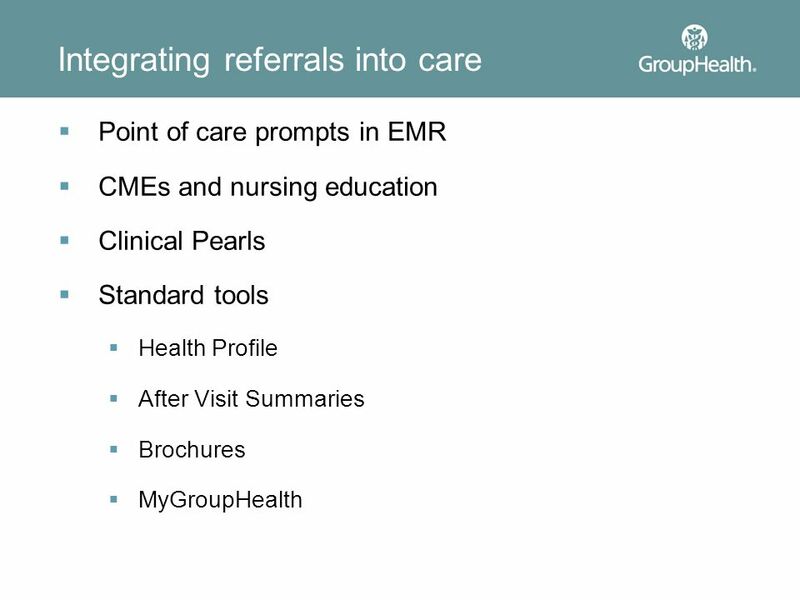 If patients have more information, they’ll have better outcomes. 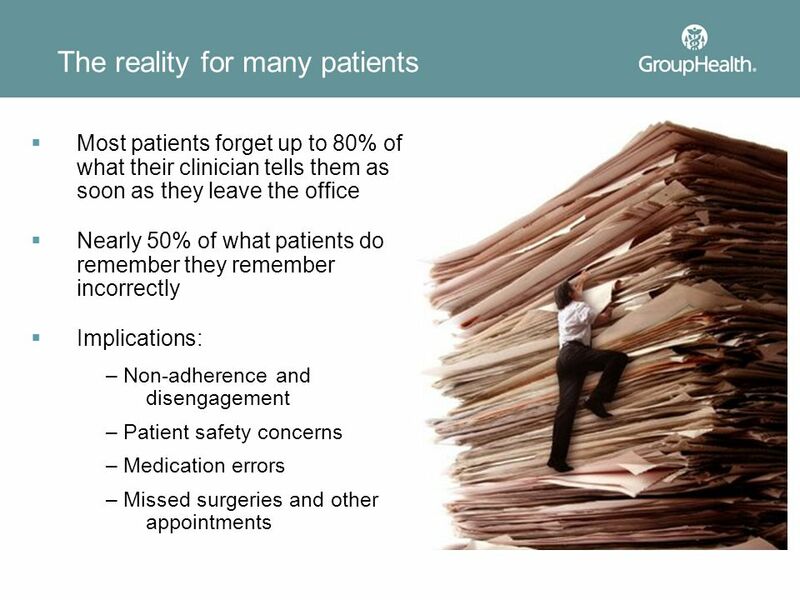 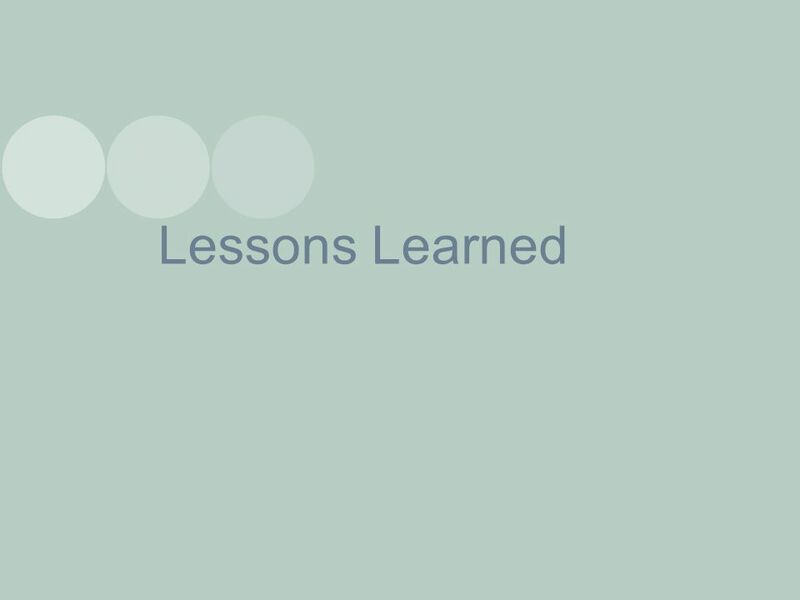 If I don’t share everything I know with my patients, they won’t fully understand their condition and what they need to do. 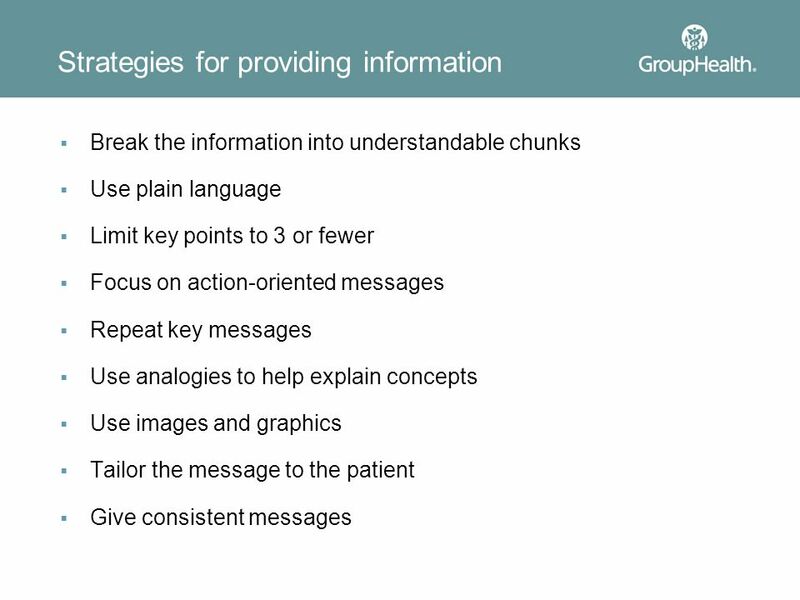 If my patients hear medical jargon, that’s ok. They’ll be able to understand it from the context. 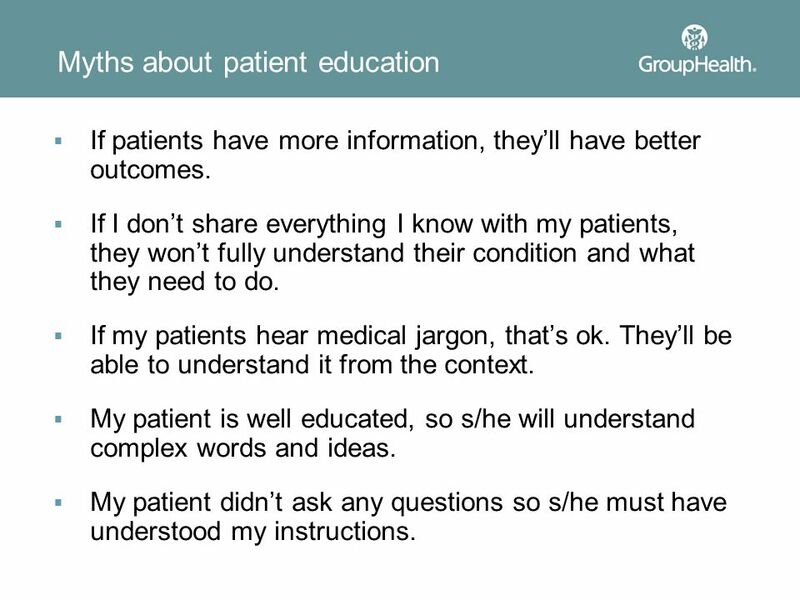 My patient is well educated, so s/he will understand complex words and ideas. 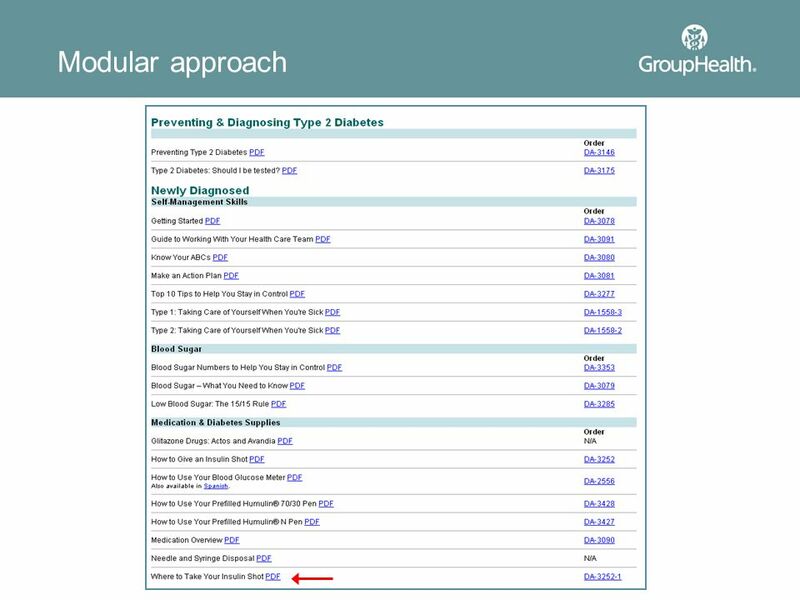 My patient didn’t ask any questions so s/he must have understood my instructions. 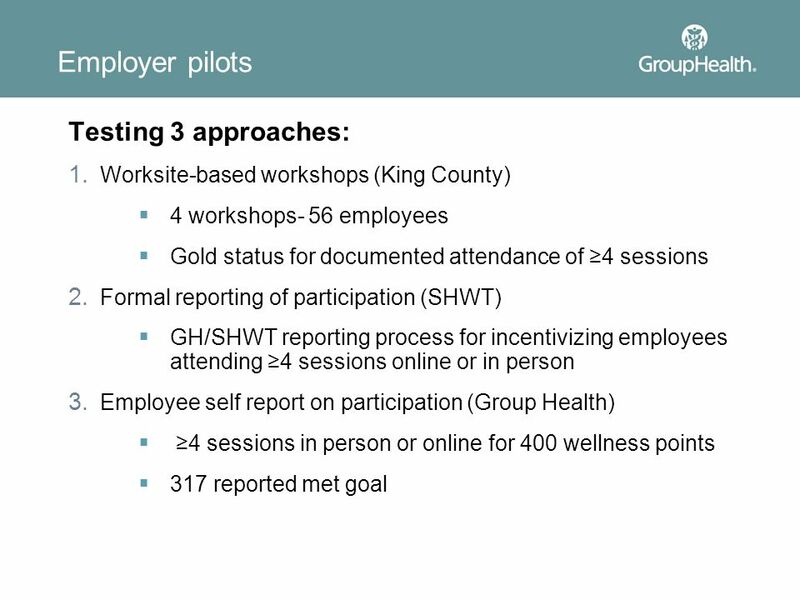 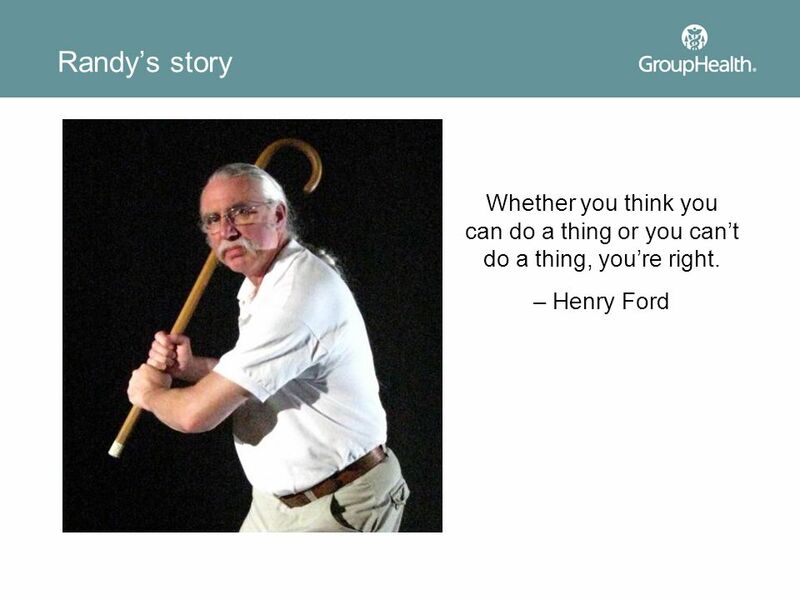 Download ppt "Small steps to big changes Background Self-management support"
The Olympic Team Trials: An Orientation to the Institute for Healthcare Improvement Breakthrough Series* Joe Kyle, MPH Kim McCoy, MPH, MS *some adaptations. 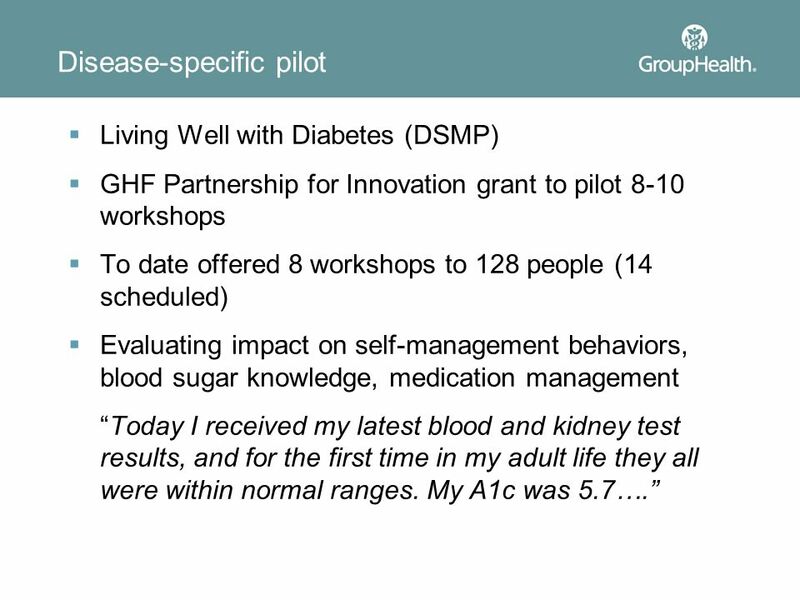 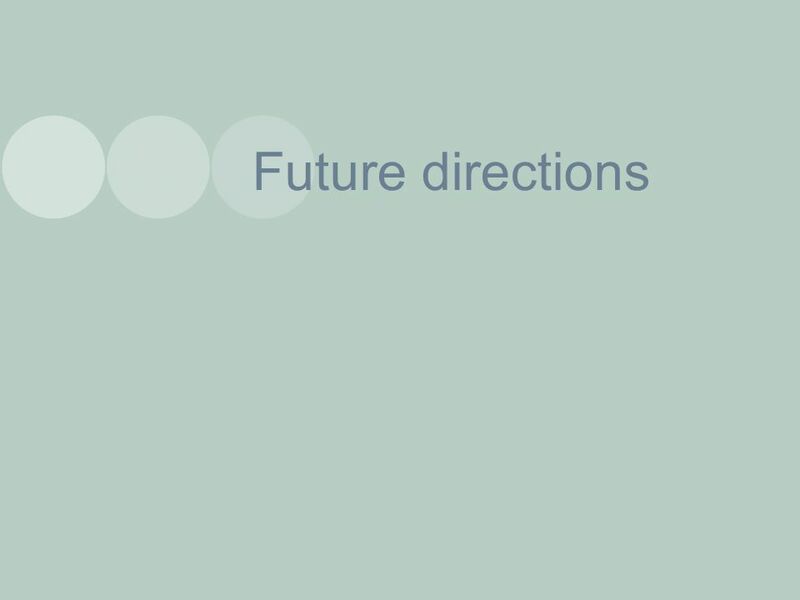 Grantee: Horizon House Primary Care Partner: Delaware Valley Community Health Cohort: 3 Region: 5 Location: Philadelphia, PA Project Director: Lawrence. 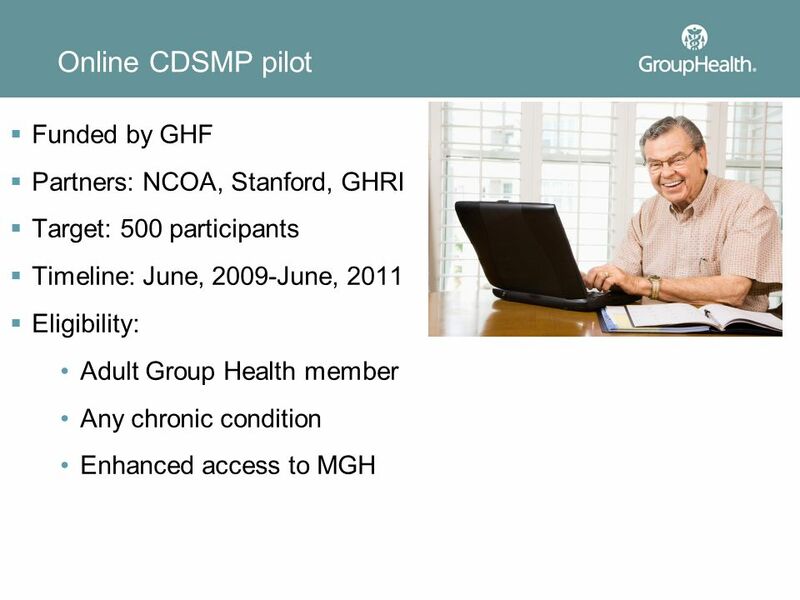 Maple Valley MultiCare Clinic Level III NCQA Certified Patient Centered Medical Home. 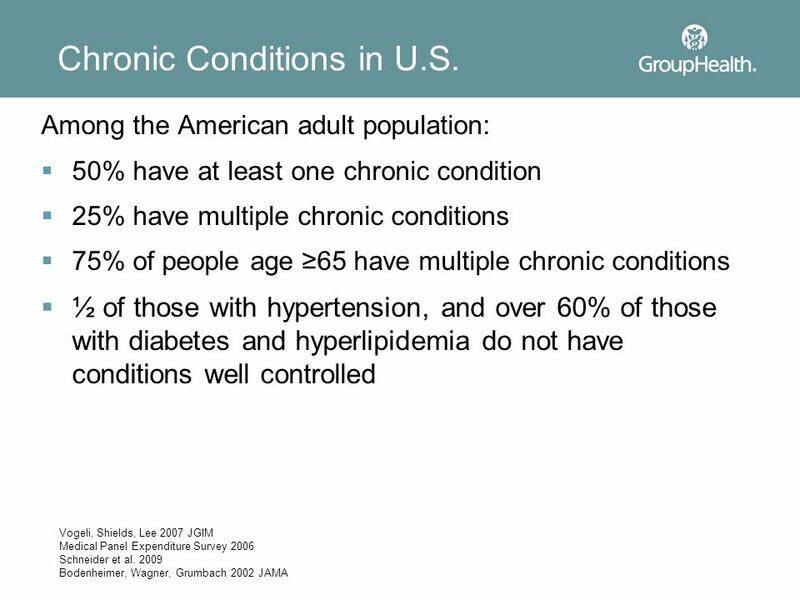 Chronic Disease Self-Management Programs Take Control of Your Health & Better Choices, Better Health New Jersey Department of Human Services. 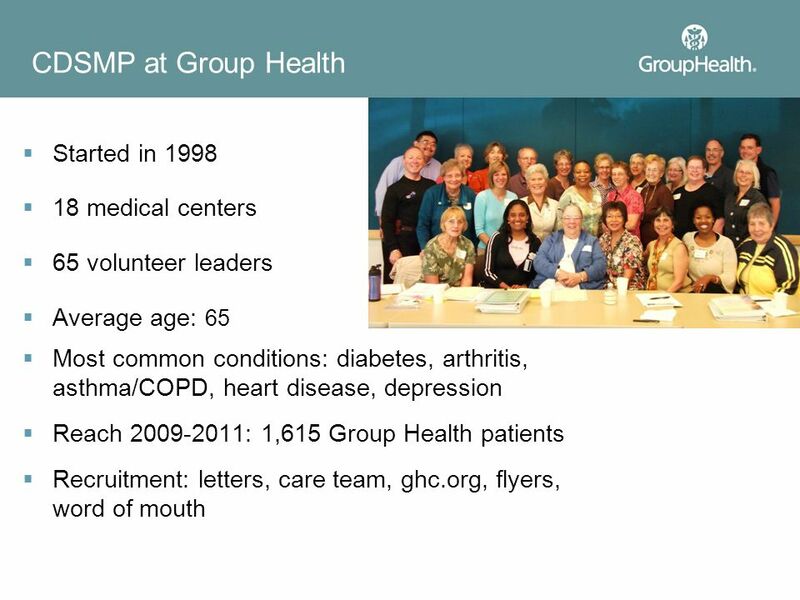 + Nationalizing Pulmonary Embolism Support Groups Kathryn Mikkelsen, BA Ruth Morrison, RN, BSN, CVN Brigham and Women’s Hospital Boston, MA. 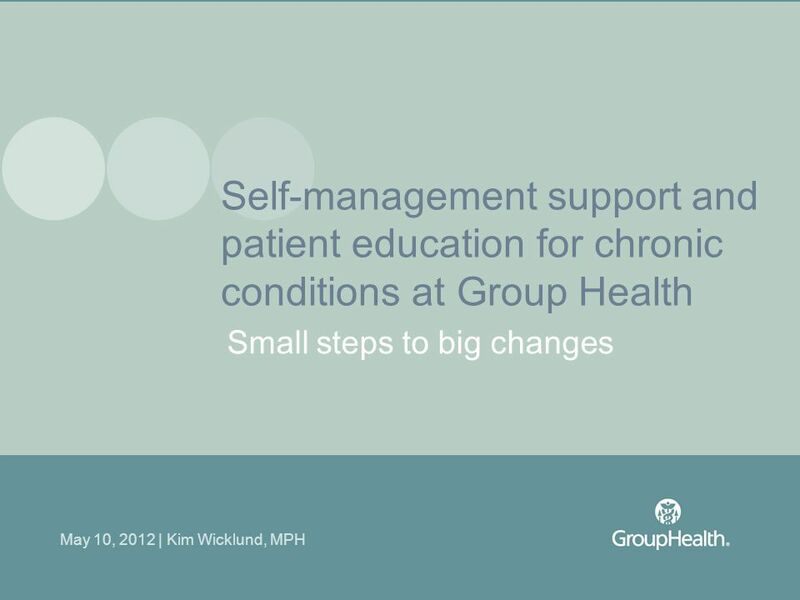 Key Findings : Paying for Self-Management Supports as Part of Integrated Community Health Care Systems July, 2012. 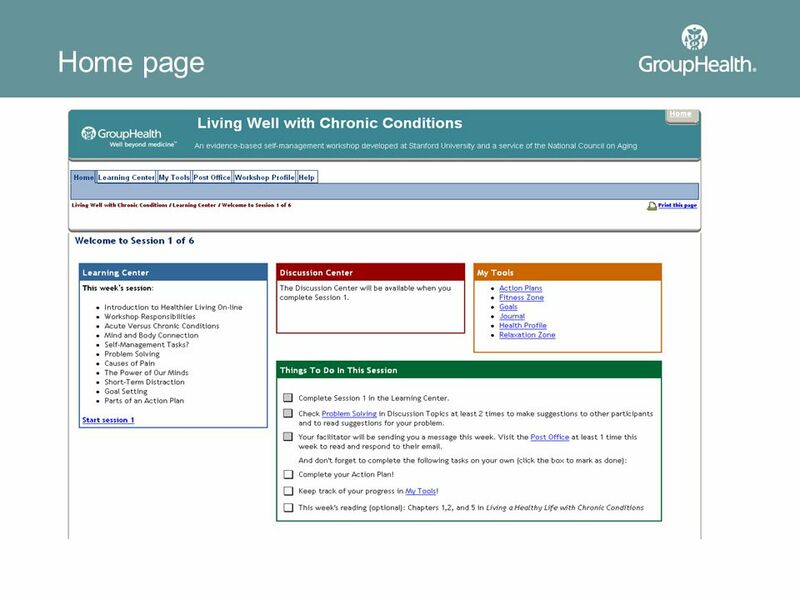 Living Well with Chronic Conditions Presented by the Wisconsin Institute for Healthy Aging, Wisconsin Department of Health Services, and their partners. 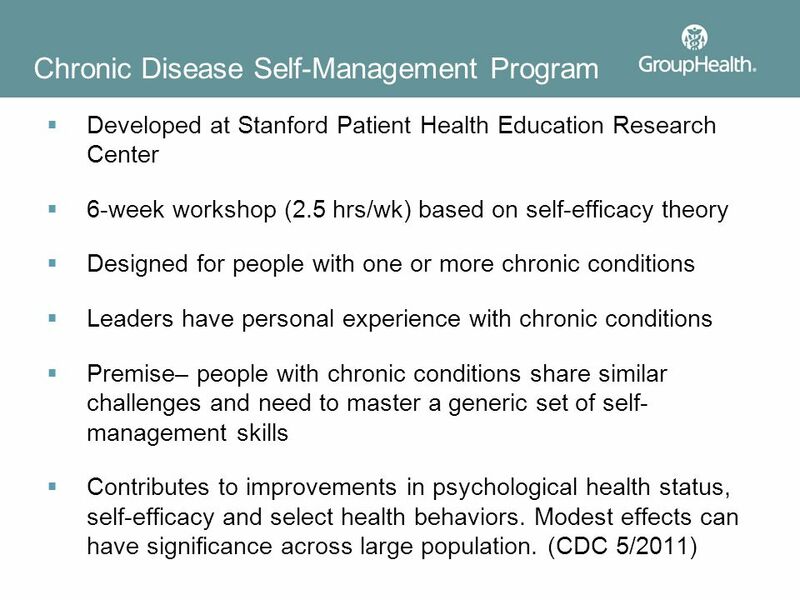 Living with Chronic Conditions: Why Self- Management Works in the Community and Online Sue Lachenmayr and Katy Plant. 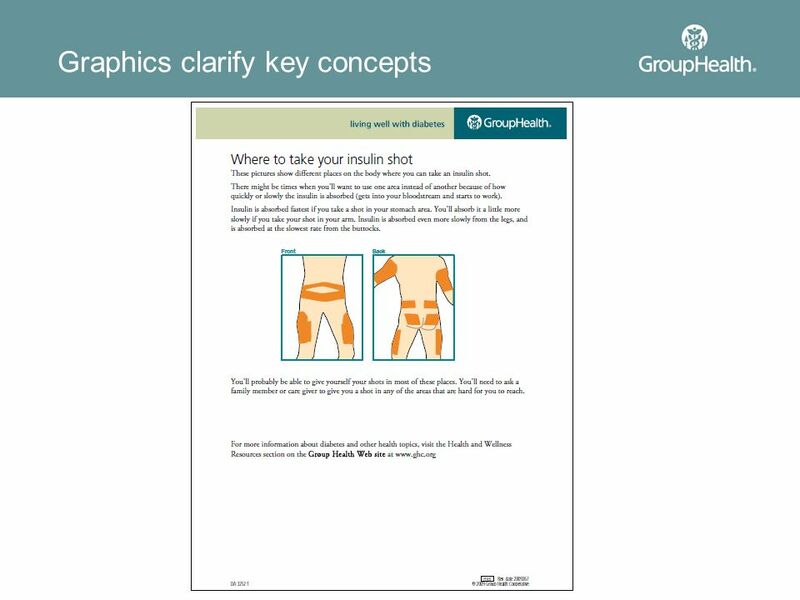 Welcome to my presentation on Health Literacy in the Community By Sharon Herring. 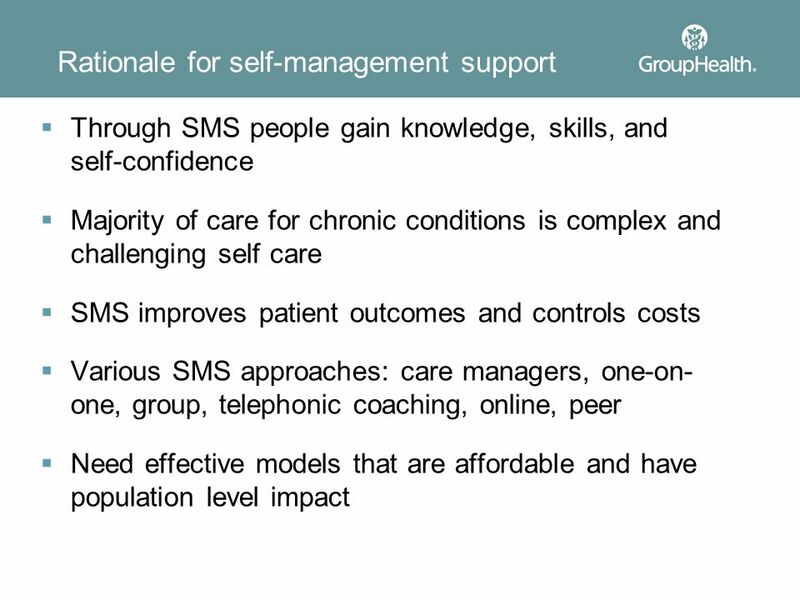 Self Management Support Dr. Patrick Doorley, HSE 25/10/2012. 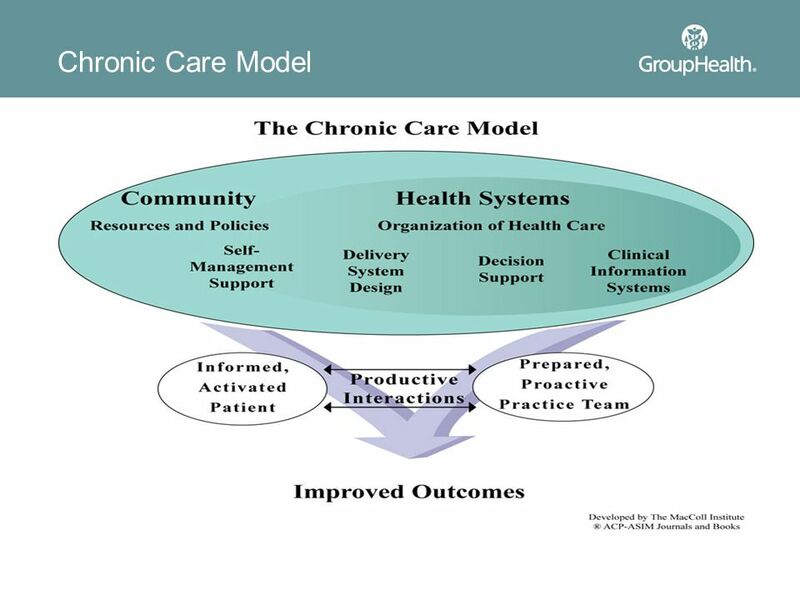 Memorial Hermann Healthcare System Clinical Integration & Disease Management Dan Wolterman April 15, 2010. 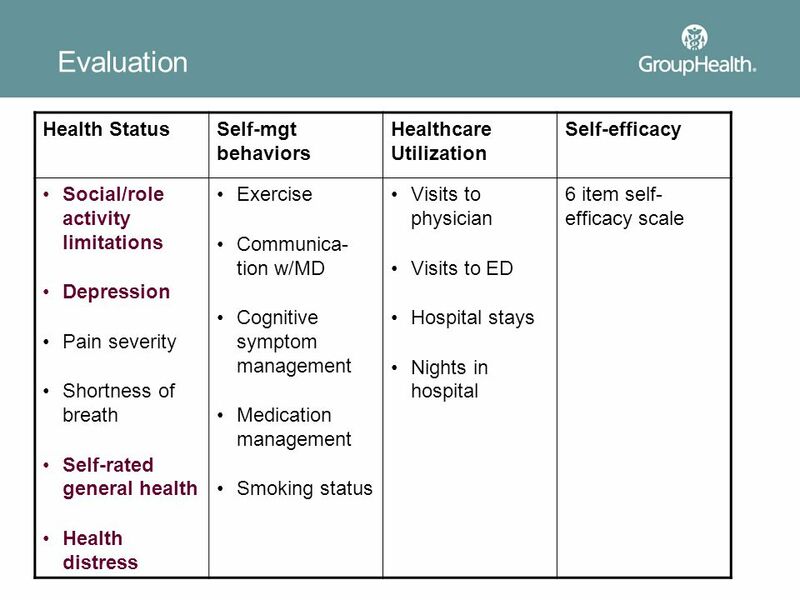 Fundamentals of Evaluation for Public Health Programs ROBERT FOLEY, M.ED. 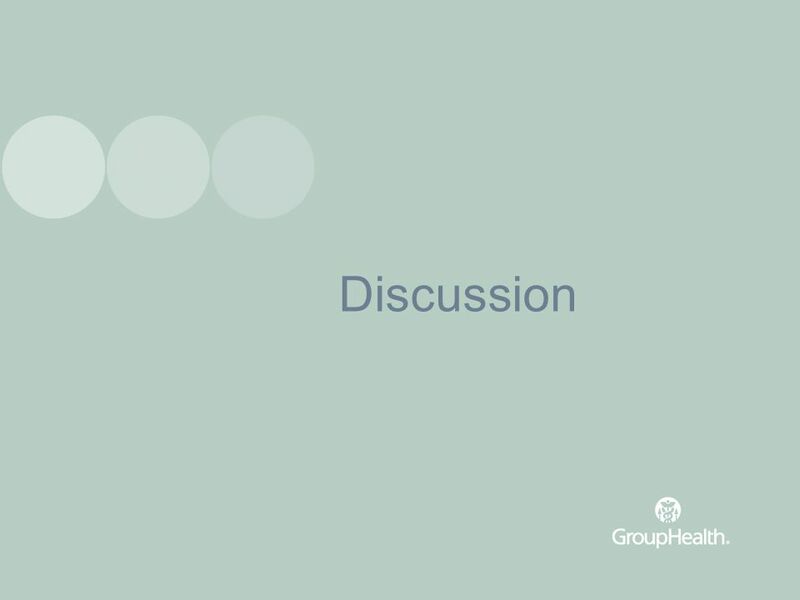 NIHB TRIBAL PUBLIC HEALTH SUMMIT MARCH 31, 2014 1.